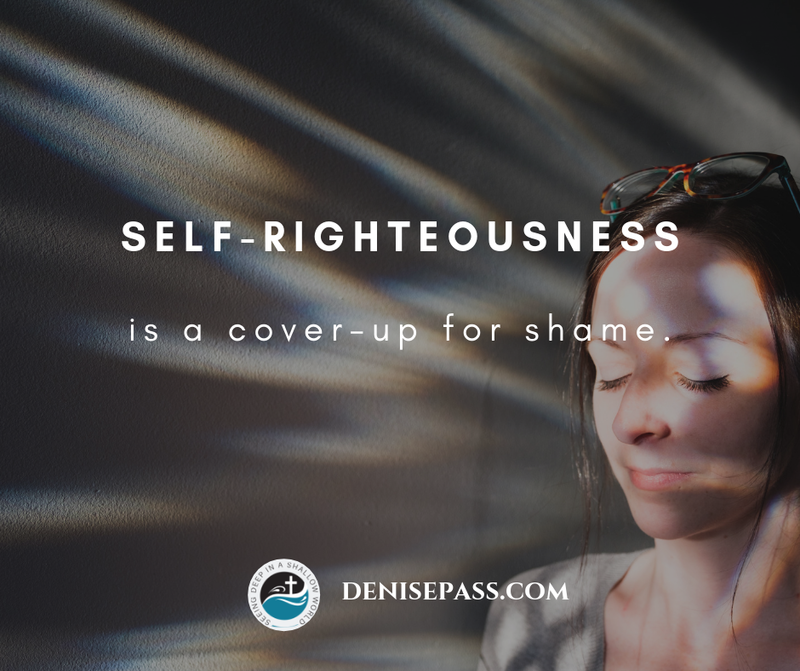 Shame RX: Self-righteousness is a cover-up for shame. Ever had someone call you out on something and whether or not you were guilty, your first reaction was to dismiss that shame with a positive about you? Mmmm Hmmm. Me, too. We don’t want to be defined by something negative, whether it is true or not, so we hope something better about us will cause shame to disappear. But it still lurks in the shadows behind our self-righteous cloak. Shame is not dismissed with pride. And trying to overcome shame with an anecdote of praise for to make ourselves feel better won’t rid ourselves of shame’s stigma and persistent presence. Self-righteousness impedes shame removal because it is an attempt to cover shame in our own strength. Shame remains unless we acknowledge our need of God to remove it from us. Whether shame is legitimate or not, processing shame with positive vibes or feel good methods does not work for long. Shame clings a little tighter than that to our souls. Knowing that we have no righteousness of our own, we don’t have to fear shame or try to cover up shame’s accusation. We just need to plead the righteousness of Christ over any and all shame. 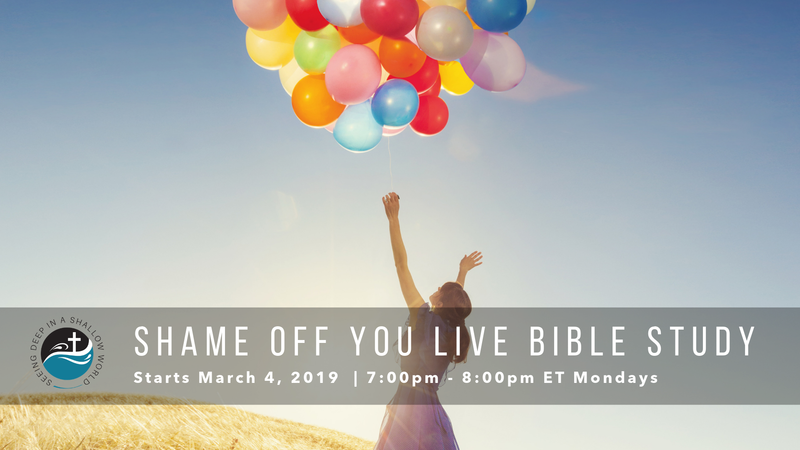 Looking at shame through a biblical lens once again, we are set free not because of anything we have done, but because of the kindness of our Holy God who came and bore all of our sin and shame.